The South Loop neighborhood in downtown Chicago is loaded with terrific rental options. Anything from high-rise rentals to chic stylish lofts can be found all throughout the entire South Loop area. 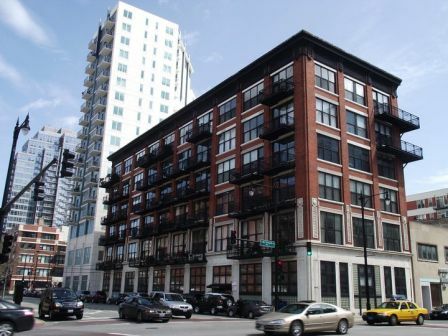 If you're in the market for a rental property in Chicago, the South Loop is especially convenient for those working downtown or need easy access to the expressways. For more information on South Loop rentals in Chicago, contact our team of experienced and professional Chicago real estate experts! The South Loop has the potential to be the strongest developing neighborhood in all of Chicago. Residents are conveniently located next to the lakefront, Soldier Field and popular tourist attractions such as the Field Museum and the Shedd Aquarium. The housing market in the South Loop has also seen a recent boom with a number of loft conversions and luxury new construction buildings being developed. Transportation to all parts of the city is made easy with “L” stops for the Red, Blue, Green and Orange lines nearby. Easy access to Lake Shore Drive is also available as well as the 18th Street and McCormick Place Metra Stations. With an array attractions and entertainment it is Columbia College with perhaps the strongest presence in the South Loop, owning 17 buildings and attracting large numbers of artists and students alike. Luxury high-rises in the South Loop such as SKY55 have also begun to lease available units with 1 bedrooms starting at $1652 per month. Many other less expensive buildings along South Michigan Avenue are also available for students and young professionals looking to take advantage of this truly up-and-coming neighborhood starting around $1400 a month. Contact Ted Guarnero for information on South Loop Condos, Lofts & Apartments For Rent.